We live in earthquake country and for most Northern Californians’ the possibility of a major earthquake is etched into our consciousness. 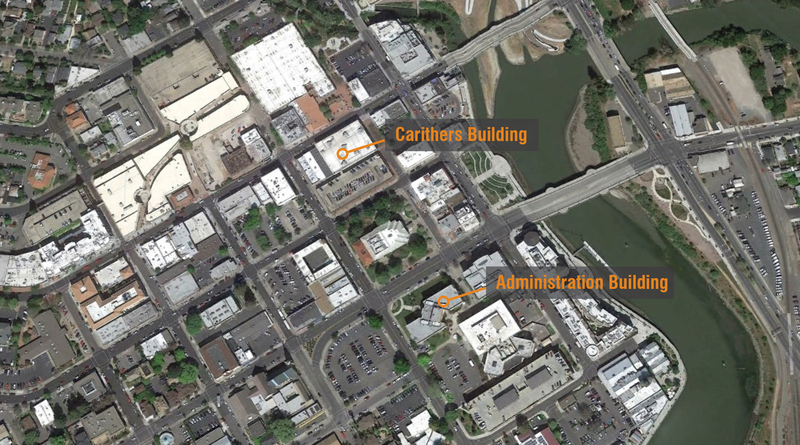 When the Napa Earthquake struck last August, the 6.0 magnitude quake made national headlines. Images of damaged downtown buildings, wine barrels collapsed into piles and homes leaning sideways were everywhere on the media. For those of us with friends and family in Napa County, our first reaction was to make sure everyone was safe and to offer our help. I grew up in Napa and the recovery effort began on a personal note for me. Within hours of the earthquake, my sister and I were cleaning up damage and debris at our 94 year-old father’s home. Even without structural damage, it was amazing to see how devastating an event like this can be. There was overturned furniture, dislodged doors, contents literally thrown out of the refrigerator, and of course broken glass everywhere. One of our clients at Napa Valley College had his chimney collapse into his living room – something you don’t see everyday. 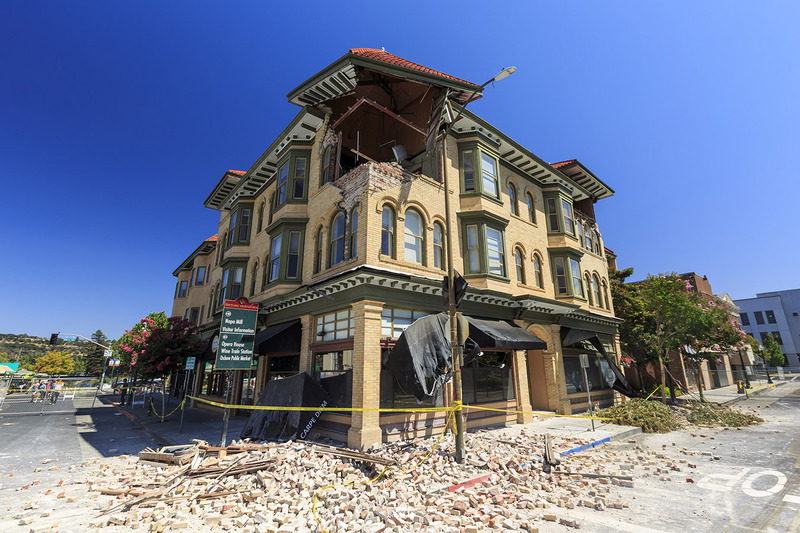 In the immediate days following the earthquake, my involvement would take a turn, as TLCD Architecture was selected to work with the County of Napa to assess and repair their damaged buildings in the downtown core. The team assembled for the earthquake repair projects was more than just a slate of companies able to perform the work. This quickly became a close-knit team that worked tirelessly to meet the constantly evolving and unforeseen issues that arose in the days and weeks following the earthquake. Reflecting back on this last year, the word that most encapsulates my experience is “connection“. 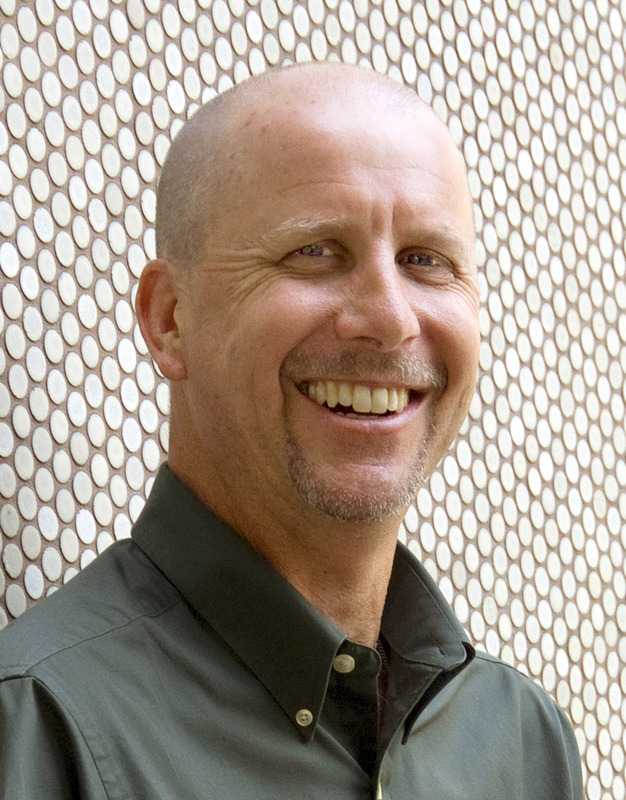 In addition to growing up in Napa, a big portion of my career with TLCD Architecture has been focused in Napa County – from major campus bond improvements at Napa Valley College, to the historic renovation of Vintage Hall at St. Helena High School, and in recent years, our work with the County of Napa. 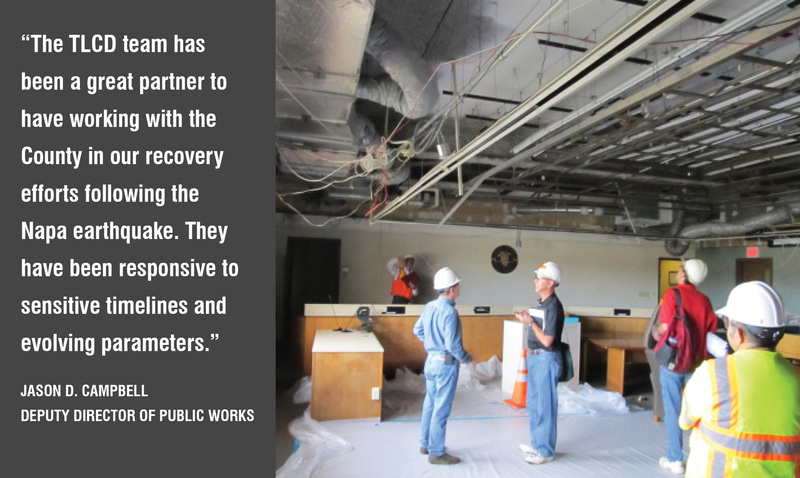 When this disaster struck last August, the quality relationships we had formed with the County were only made stronger through the rebuilding process. The entire project team has connected on a deeper level because we came together to do the right thing. We also learned many lessons, which we will share with our existing and future clients. The biggest take-away is the value of implementing current codes that require proper bracing of ceiling systems, ductwork, piping and even furniture systems. For more technical information TLCD’s work on the County Buildings, click here.